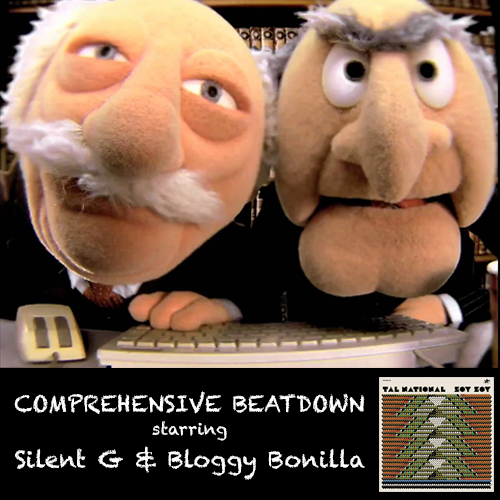 In this week’s episode of Comprehensive Beatdown, Bloggy Bonilla and Silent G check out the newest album from Tal National, a band that neither of the guys was familiar with before this week (embarrassingly so). Hailing from Niger, Tal National juggles being the country’s most popular band with working to differentiate their sound from their Afrobeat contemporaries in Nigeria while also navigating life as a secular band in a fundamentalist Muslim country. “Zoy Zoy” is their second international album and will make a great summer soundtrack. The guys also listen to a new track from Tyler, the Creator and a classic track from Crooked Lettaz in celebration of the 16th anniversary of the release of “Grey Skies.” As if all that weren’t enough, Bloggy Bonilla and Silent G offer a whole lot of unsolicited NBA playoff analysis and bad Tim Tebow jokes. Thanks as always for the support. ← COMPREHENSIVE BEATDOWN PODCAST: TORO Y MOI – WHAT FOR?